Is it summer 2017 yet? 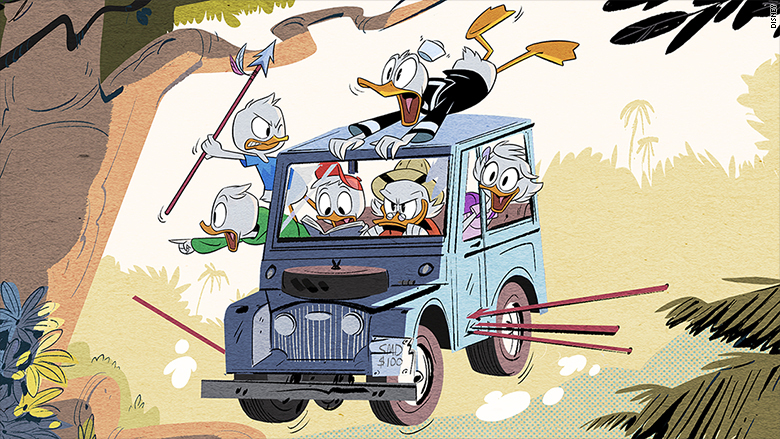 Disney has released a teaser of the "DuckTales" reboot coming next summer and it's so money. It features gold coins, a little snippet of the theme song and a pretty ducky, "Yeah!" The 14 second video is just enough to wet your beak. Fans have eagerly awaited the return of Scrooge McDuck and his nephews since the announcement in 2015 that the beloved animated characters would be returning to television. "DuckTales" originally ran from 1987 to 1990. Its return is just one of a slate of nostalgic shows recently rebooted including "Gilmore Girls" and "Fuller House."